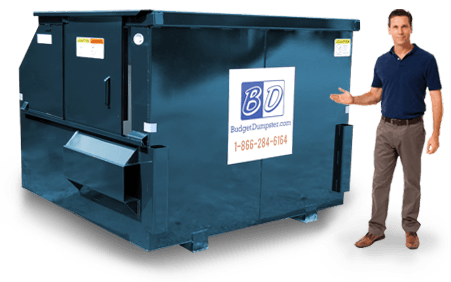 Budget Dumpster is already your number one choice when it comes to rentals; why not make that true for your commercial service as well? We want to give you the same great experience you've received in the past, only this time on a more long-term basis. Give us a call five days a week, Monday thru Friday. 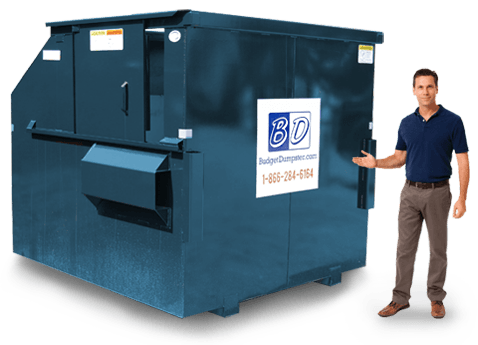 All it takes is a few minutes of your time to get everything set up with one of our expert customer service reps. We're here to take you to the next level when it comes to commercial dumpster service. 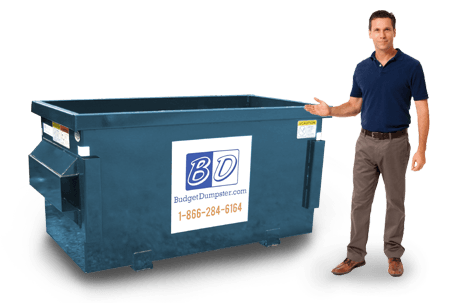 Don't rent with those other guys; choose a company that you can trust for your permanent dumpster service. We have built our company from the ground up to totally serve the customer. You get great monthly rates on a 1 year rental, and you are free to change your sizing option at any time should the need arise. If you know you're going to get an uptick in your refuse output, just let us know, we'll take care of the rest. Everything related to your order can be handled over the phone, it's easier than ever before to get a great experience when it comes to your commercial dumpster service. Call now and get started, we have our reps waiting by the phone. Good things come in small packages, it has been said. And that's exactly the case when we're talking about our 2 yard dumpsters. You don't have to take up all the space behind your office, and you can still get rid of a lot of waste. These 2 yarders can typically hold the equivalent of a one-top pickup truck. If you think you're going to need something a little bigger, may we interest you in our 4 yard option? This is a great choice for many businesses and can fit about double the amount of trash what its smaller cousin can. And it's not that much bigger in overall size, either. This waste container tops out at 6 feet wide, 4 feet long, and about 4 1/2 feet tall. The sliding door on these units can come in handy in a couple ways. First, it allows you to take the trash into the dumpster directly or toss it in a way that avoids needing to throw it over the walls of the dumpster. Also, you can move the debris around to pack more in there instead of being at the mercy of your toss. You'll find these dumpsters behind apartment buildings and office complexes. This won't be behind the local strip mall. 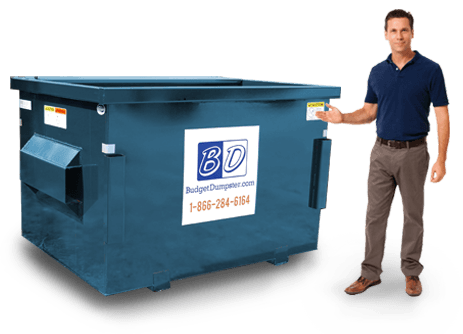 Rent this dumpster if you have a facility up to 25,000 sq. ft. The sliding door on them is almost a must too; this thing is about 7 feet tall. Rent accordingly, make sure you are going to have enough space and enough waste.